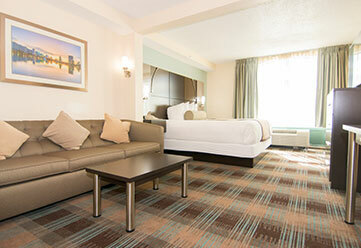 The Wingate by Wyndham Orlando International Airport Hotel features 104 large smoke-free rooms on five floors. 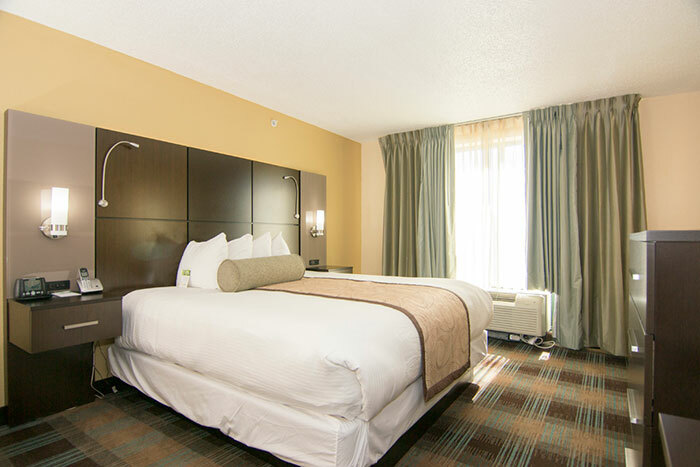 Guests can enjoy our all-inclusive hotel amenities package and a wide variety of affordable accommodation options furnished with all the luxuries of home for your ultimate comfort. 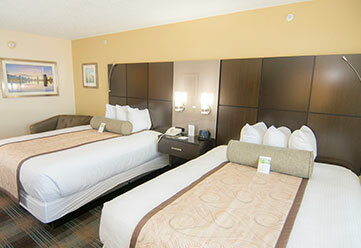 Cribs and rollaway beds are also available upon request on a first-come, first-serve basis. 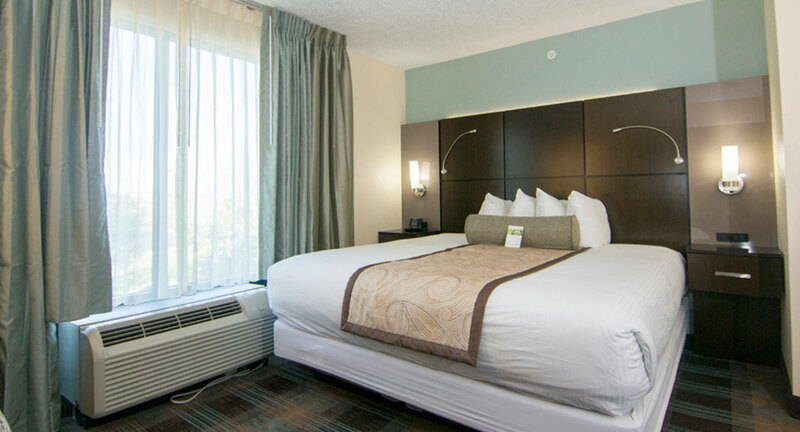 Great for couples, single occupants or business travelers, this room features one queen-sized bed, a microwave, a refrigerator, a 32” flat screen TV, and desk workspace. The large room features two queen-sized beds, a microwave, a refrigerator, a 32” flat screen TV and desk workspace. Great for families or business travelers. 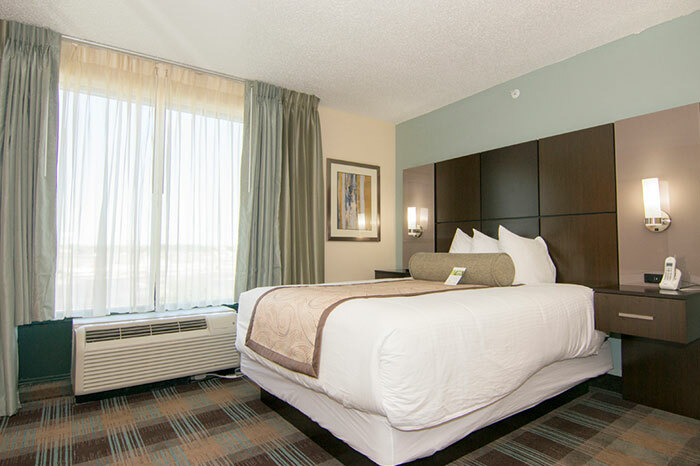 This spacious room features one king-sized bed, microwave, refrigerator, a 32” flat screen TV and desk workspace. 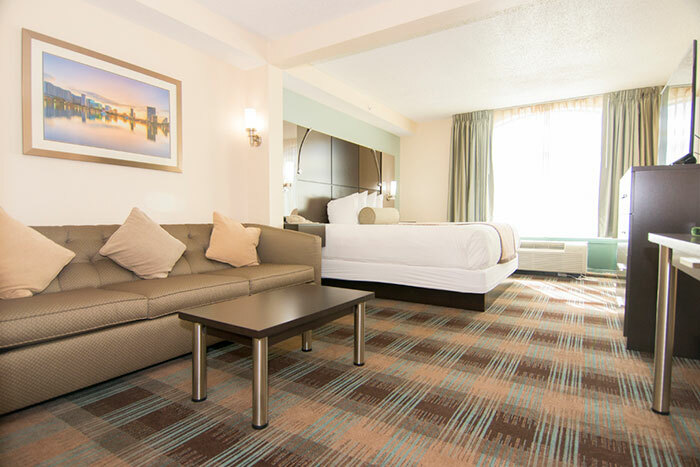 This large suite features one king-sized bed and a full-size sleeper sofa, perfect for small families or business travelers requiring more space. It also includes a microwave, refrigerator, a 32” flat screen TV and desk workspace. 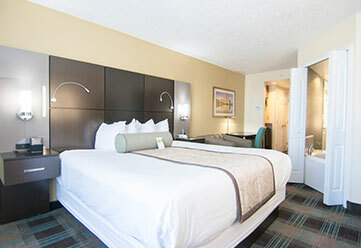 This spacious suite features one king-sized bed and a full-sized sleeper sofa, and a master bath with a Jacuzzi tub ideal for families or business travelers. 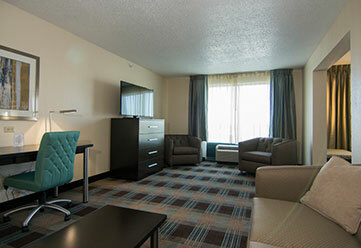 It also includes a guest bathroom, microwave, refrigerator, a 32” flat screen TV and desk workspace. 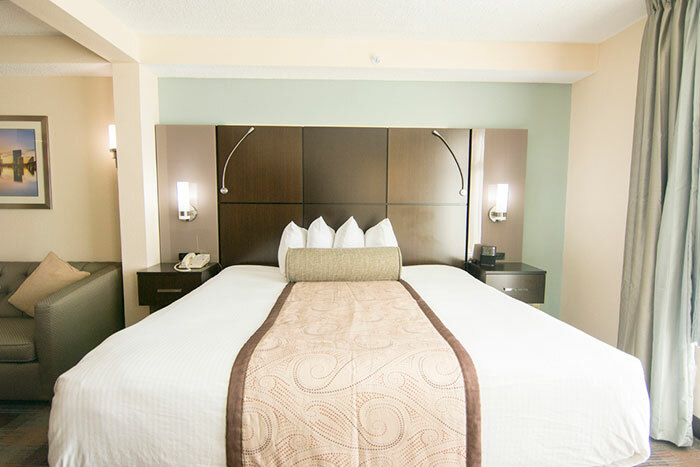 This large executive suite features one king-sized bed, a dining area with wet bar, a full-size sofa and a master and guest bath, perfect for business travelers. 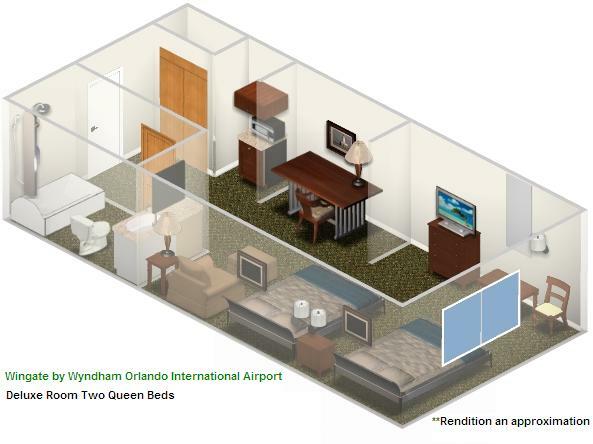 It also includes a guest bathroom, microwave, refrigerator, a 32” flat screen TV and desk workspace. 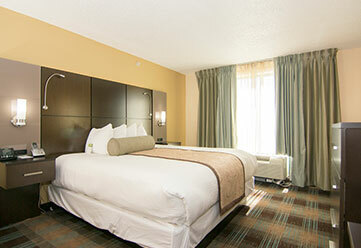 Ideal for corporate travelers who would like to host small, in-room meetings. 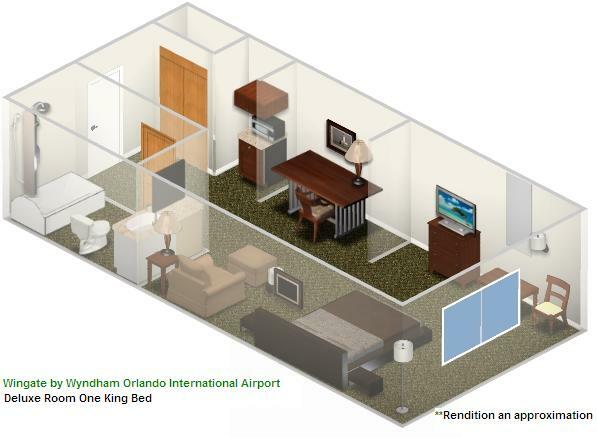 These spacious rooms are ADA-compliant for the comfort and safety of our mobility-impaired guests. Three rooms offer a roll-in shower and four rooms have baths with safety bars. 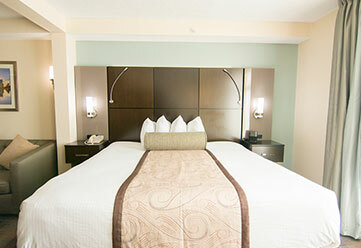 The King Room features one king-sized bed, while the Double Queen Room features two queen-sized beds. 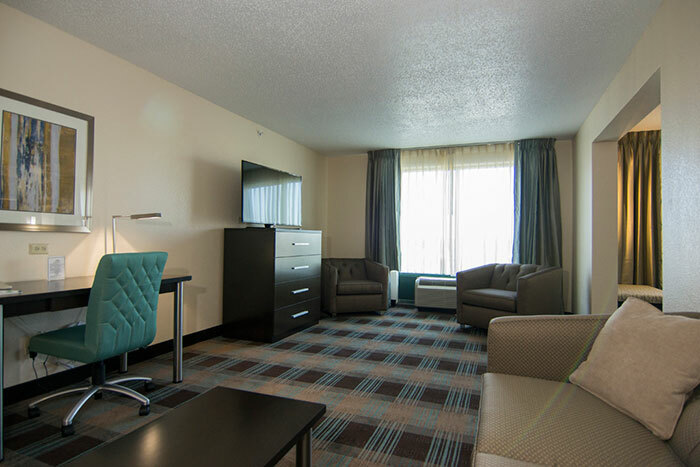 All accessible rooms are equipped with a microwave, a refrigerator, a 32” flat screen TV and desk workspace. 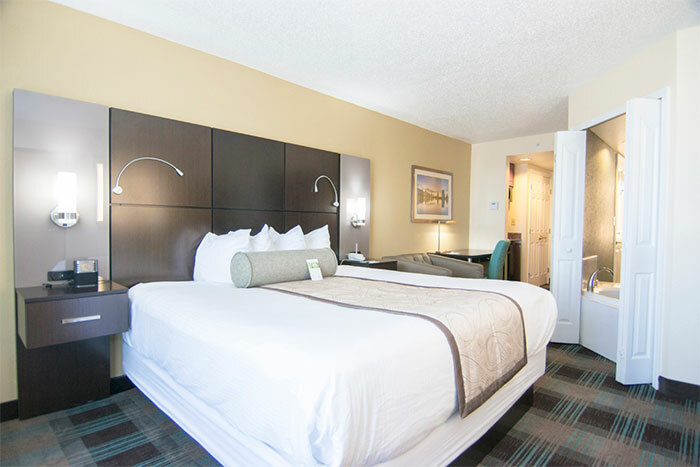 © 2017 Copyright Wingate by Wyndham Orlando Airport. All Rights Reserved.